Where will your sketchbook take you? Artist Don Colley traversed Vancouver for his first time, documenting the people and sights he experienced. He visited the bustling streets of the downtown core and the serene waterfront of Granville Island. Don got a great taste of the city – and so did his sketchbook! 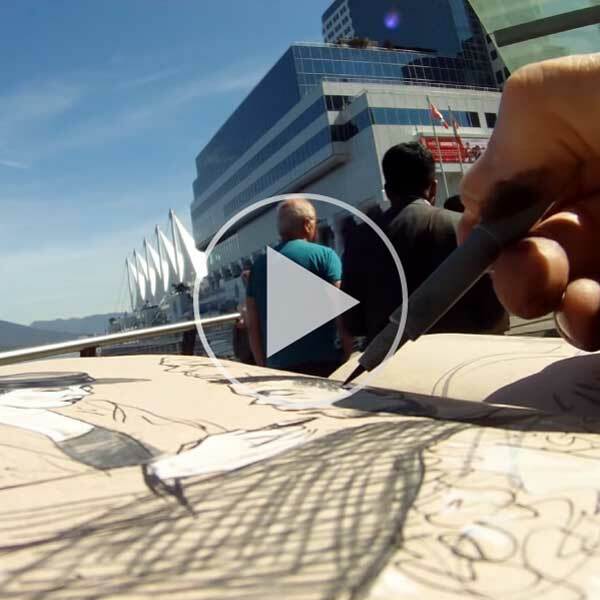 Watch “Where Will Your Sketchbook Take You?” above to discover all the places Don’s sketchbook took him! Your sketchbook has become your companion, always in your bag or under your arm. From your morning coffee to traveling home from work, an artist’s sketchbook is home to multiple mediums and countless memories. These memories create inspiration. They spur the artist further as they play with concepts for pieces or as a source of entertainment to help pass the time on their travels. Your sketchbook was there with you when you drove down the coastline with your family, that morning you got stuck in traffic, and during the most unexpected rushes of inspiration.